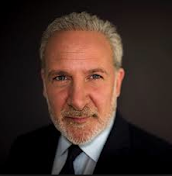 Peter Schiff On The Markets: Precious Metals: A Spike In Silver? If global industrial growth soften or even plunge, so would lead/zinc and copper mining, which together accounted for 59 percent of silver extraction in 2017. That could also cause the price of silver to spike.